Blogger is one of the most popular publishing platforms available for anyone who wants to voice their thoughts and opinions on the internet. You can also use blogs to earn money online. If you are a Blogger users, then here is a brand new opportunity for you to earn some extra cash right from your Blogger blog! Google has very recently announced another monetization option for Blogger blogs, i.e. the brand new Affiliate Ads! The Google Affiliate Ads is a new Affiliate Marketing concept by Google, and a positive initiative towards benefiting publishers who are passionate about certain brands or products. Google says, "We believe your recommendation (about products and services) is valuable, and want you to benefit from it". Therefore, here is your chance to try out your hands at this latest Affiliate Marketing tool! In the most simplest terms, Affiliate Marketing refers to the promotion of services or products through customers. It works like this: I buy a certain product, and then recommend it to you. Then you buy that product too through my 'referral'. In that case, the product's company will pay me, an 'affiliate', a certain amount of your purchase, as a 'commission'. If you refer other people, then you will get the commission, and so on. Most popular affiliate ad marketing companies include BuySellAds, ClickBank, Amazon etc. In fact, most of the companies nowadays are offering affiliate programs to anyone willing to join. It's high time that Google do the same. This was a much awaited feature among bloggers. This great new feature has been introduced in the form of a widget, which you can easily add to your blog posts to earn money. Whenever you write a new post about a product or service from a featured advertiser, this Google Affiliate Ad widget will help you display an affiliate ad on your post. You can choose a relevant ad from the widget. This ad can be a text-link ad, an image or a fully fledged banner. 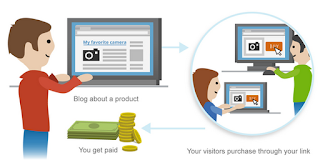 This feature is different from the pay-per-click model for AdSense Ads. 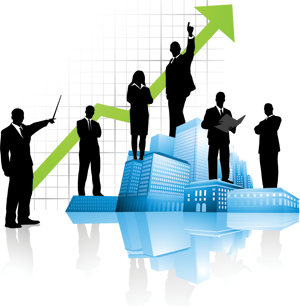 Since Affiliate Marketing is all about the performance of the affiliates, this scheme pays on a par-per-action basis. Thus, you get a greater commission for a larger number of referrals that you make. Before getting started, you need to make sure that you have an AdSense account. If you don't have one, Google AdSense. You do not need to set up AdSense Ads for this program. Just sign in using your AdSense account. Once signed up, go over to your blogger homepage, and click on the Earnings tab. There, you will find an option Get Started. You will be guided through the rest of the process. It's that simple really! Browse through available ad categories to pick an ad for your blog. Since Google Affiliate Ads is a brand new program, it is still in its initial stages. Currently, the number of ad categories is limited. So if you don't see the select ad option, the maybe it's because your blog content does not match the ad categories. Google is working on expanding their reaches, so be patient please! Secondly, this service is currently limited to the U.S. People outside of U.S. can't use this feature as yet. But then again, it's fresh feature, and will take time to mature. We are expecting Google to extend this limit to more countries in the near future. If this feature is not available to you, don't worry. It will be made available very soon. We will notify you of any updates that Google makes. is it work with google adsense only?should we made adsense account first? If any one doesn't have adsense account and they want to have affiliate ads they can have them through amazon, clickbank and adbrite. Thanks for the info. I was hesitant to do so, but with your guidelines, applied so I may make use of this opportunity to earn. Does it allow other than blogger?? self hosted websites using other platform than blogger! if one don't have an adsense account ,could he apply for if , i don't need adsense but want to get this new affiliate! hey! can't hacking blogs supported by google adsense?? hahahahaha. sara content yahan se copy kiyya hai. Qasim Zaib Bhai maan gaye aap ki funkarion ko!!!! Razi bhaai, for ur information, I havent copied. It's they who have copied. That is an auto bot content infringement system that manipulates the paras and generates new content based on an adapted resource. His blog has been reported to Google by us. Thanks for bring it into focus. Every post that we publish at MBT or SEM is duplicated by auto both the next second and there are several copies of MBT posts everywhere and we are finding it hard to report them all. As far Qasim is concerned I would appreciate you better respect bloggers like him who are the best I have come across. Now, lets check "qasim ki funakariyan" so that all of us can admire his skills. "Category: Security , Internet - Tags: backlink , blog , Blog Traffic , Increasing For , seo , Seo for blogs , Top 10 Tips - Date: April 20, 2012 - Written by: Ersin Tezcan"
Now, read the post frequency and timings point.You will come across "For example, our other blog SEM had a million+ Alexa ranking when it started! We have been publishing two posts daily for the first two months. And in those two months, the Alexa improved dramatically and it now stands at around 50,000!" We welcome you to MBT razi and invite you to stay here and visit us regularly.We share a lot of knowledge and healthy communication. Can someone write a post differentiating duplicating and regenerating an article. The title could be "Why Regenerating is not same as Duplicating". Not true brother I just translatet it into Turkihs.